Happy New Year my Lurganista Lovelies! I can’t believe it’s 2017 already! I bet you all had a fabulous Christmas with friends and family; eating lots of delicious food, having a few glasses of champagne during Christmas events and wine with Christmas & NYE dinner. Clarins have launched 3 serums which are bespoke to you depending on what your skin needs. After all the indulgence of Christmas & New Year I would say most of us need the Booster Detox. I really like that you don’t have to use Clarins moisturiser with this serum, so if your on a budget or prefer another brand of skincare you can add 3 drops of Booster Detox to your current regime. This is a genius idea and other Brands could follow suit. 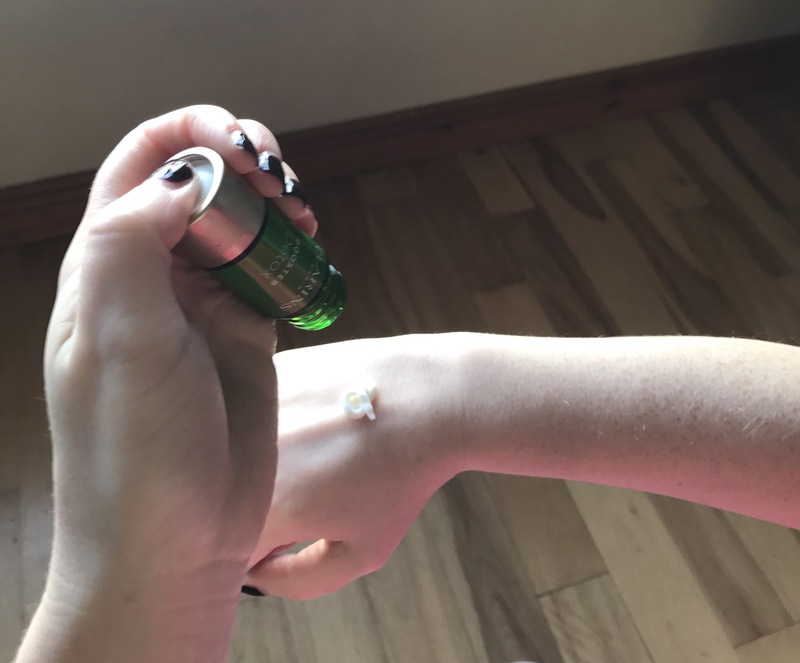 The Clairns Booster Detox must be added into a moisturiser as shown, it can’t be used alone as the products are highly concentrated and you just push 3 little drops into your moisturiser and apply onto the face and neck. Although it’s 15ml it’s very economical and it packs a big punch. My skin felt much plumper after 2 weeks and I will definitely repurchase this, as my skin felt great when I woke up after using the Clarins Booster Detox at night before bed. 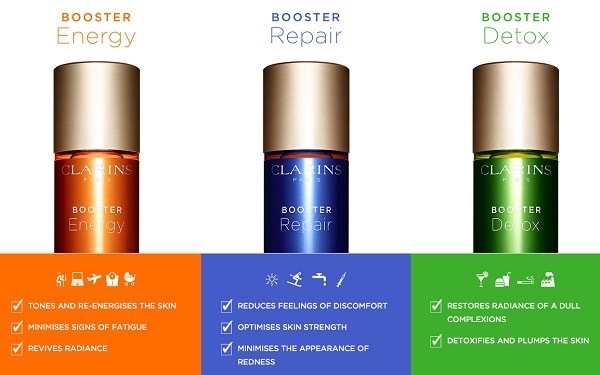 There are 3 Clarins Boosters, Energy, Repair, Detox. 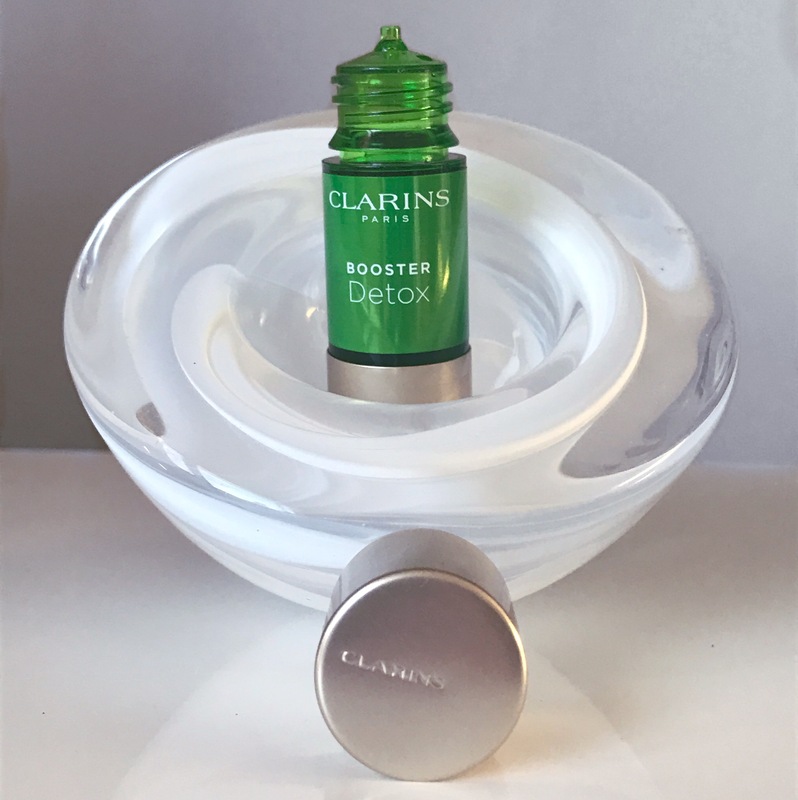 Depending on your skins needs and time of year, you can choose the Clarins Booster to best suit you and the girls on counter will be happy to assist. The girls in Debenhams Rushmere Craigavon are very helpful despite it being one of the busiest counters in Ireland. I would definitely recommend you purchase this as its non comadagenic, and suitable for all age groups and types which is no mean feat; and if you can’t afford a lot of high-end Skincare, mix it with a drugstore moisturiser like Eucerin. This way you’re getting the best of both worlds, you’re getting high quality ingredients often used in French High end Skincare brands which should last months. Quite honestly i can’t find any negatives, sometimes fragrance would be a huge no for me as I’m sensitive to British Botanicals used in some spa brands, Clarins Booster Detox has no such strong overpowering botanicals which is a win for me sensorialy. Where to buy UK & Eire …. Hey Wendie, I got a free sample of the Orange one as that was the one reccommended for me. It was good. I have a few of their products, a lot of skincare samples but i did buy one, i took a picture but unsure how to upload it for you. It’s basically a tint or a fake tan that you can mix in with your own moisturiser. I really like it as I like and much prefer the natural look to looking like the overdone tangoed look that you see on girls these days topped off with the Cruella de Ville look. My skin has looked so well after using the Clarins Booster Detox for 2 weeks, I’ll definitely buy once I’ve ran out as it’s the best serum I’ve used to date. I also swear by Clarins Instant concealer, it is so good and I can’t find another to equal it. I’ve not worn tan in ages, I had a spray tan for Paris in October, but now I embrace my paleness as I’m often too sore to tan. It definitely makes me healthier with a tan but sadly it kills me to tan. I’d love an MUA to do my makeup every-time I leave the house as I never leave the house without makeup, I can do it quite quick but some days it would be fab to have an MUA do it for me.